Are you a layperson serving on your congregation’s board or hiring committee? Are you a Jewish professional? Then you can participate in the Initiative with your congregation, bringing important resources and teachings to your community. Consider registering to be a pilot to help us test out the resources in this living toolkit, providing valuable feedback to make this resource the most helpful to both the employees and the congregation/employers. Register at the button below to serve as a pilot congregation. The next Equal Pay Day is Tuesday, April 2, 2019. This date symbolizes how far into the year women must work to earn what men earned in the previous year. This day should be on December 31 every year, but we are far from equality. We are encouraged to wear red on this day to symbolize how women and minorities are “in the red” with their pay. Each Equal Pay Day encourage your congregation to offer text studies, workshops, and sermons. Let us know how you are raising this important social justice issue in your community! As a member of a congregation or organization, when you are passionate about pay equity, it is tempting to ask the simple question, “Are we paying our female staff appropriately?” However, the necessary question is, “How do we know if we are paying our female staff appropriately?” Advocate for your congregation or organization to do a salary review, comparing the salaries of your female Jewish professionals to those of male employees within your community. 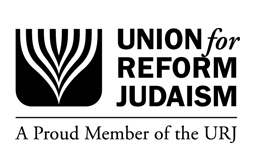 Use the national data collected by the five professional organizations of the Reform Movement to compare your employees’ salaries and see how your community measures up. These organizations include ACC, ARJE, CCAR, ECE-RJ, and NATA. If there is a gender pay gap, create a plan to correct the salaries, creating fair wages. Negotiating is among the most intimidating aspects of the hiring process for women. Many women don’t think they have the power to negotiate at all when given an offer. However, the salary for your first job follows you for the duration of your entire career. In addition, women who do negotiate are stereotyped as being “too pushy,” rather than be recognized for advocating wisely for themselves. One thing to remember is that you are the best advocate for yourself and you have the right to negotiate. You must advertise your skills as a necessary asset to your job and that your company would be doing a disservice by not compensating you correctly. If salary cannot be negotiated ask to discuss added vacation days and or benefits in order to compensate in other ways. Negotiating only works if both parties present offers. Never accept your first offer if it does not fit your desired goal. Refer to other sections of this toolkit for other resources for negotiation.